The first highly acclaimed novel from an “immensely gifted and accomplished writer” (The Washington Post), about an Irishwoman who creates a new life in post-war Spain. In 1950, Katherine Proctor leaves Ireland for Barcelona, determined to escape her family and become a painter. There she meets Miguel, an anarchist veteran of the Spanish Civil War, and begins to build a life with him. But Katherine cannot escape her past, as Michael Graves, a fellow Irish émigré in Spain, forces her to reexamine all her relationships: to her lover, her art, and the homeland she only thought she knew. 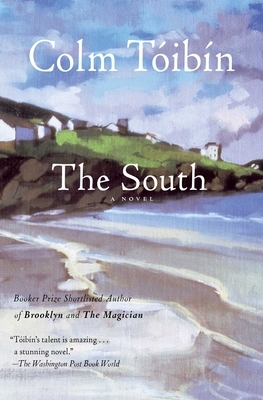 The South is a novel of classic themes—of art and exile, and of the seemingly irreconcilable yearnings for love and freedom—to which Colm Tóibín brings a new, passionate sensitivity.